I was also inspired by Keeway's tantalizing sneak peek of a new N&T die. I watercoloured a panel with distress inks and spritzed with shimmer spray before die cutting my leaves. I added a bit of gold ep to the edges of the leaves and set them almost back into the negative space. 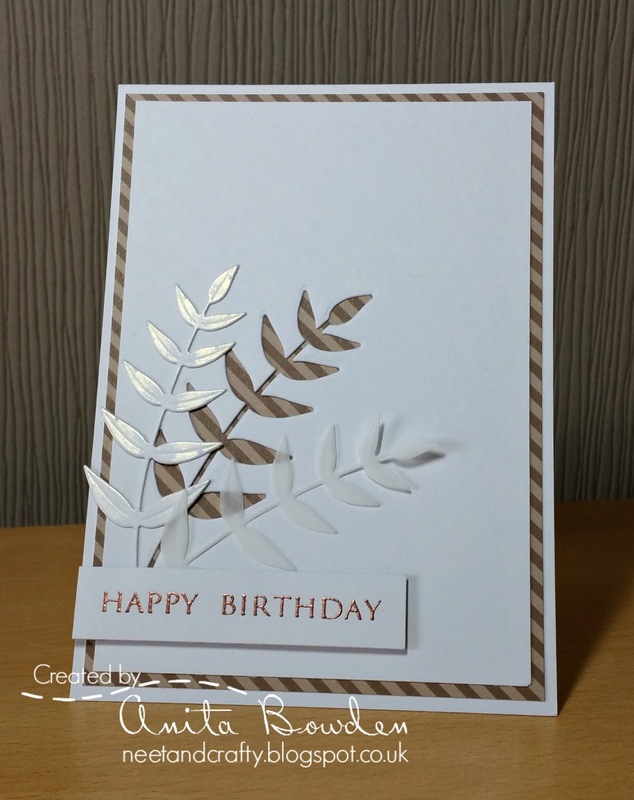 I love the crisp and fresh look of this card! Awesome! 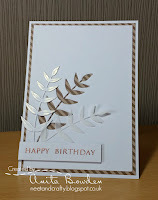 I love the black stamping with the coloring "outline" embossing off-set! Just so perfect! 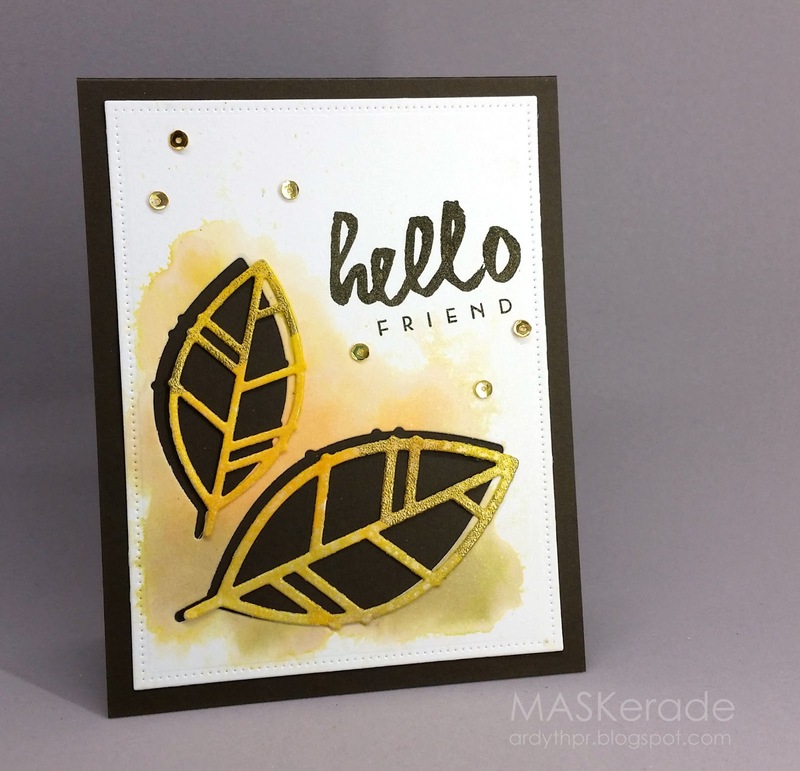 I really REALLY like your negative space, it really gives all the attention to your gorgeous golden leaves! The black behind the golden leaves is striking! This is pretty!